Customers are a big part of Harman Professional Solutions’ focus, according to Mr. Ramesh Jayaraman, vice president and general manager of Harman Asia Pacific. The company has 11 well known brands, among them JBL, Soundcraft, AKG, Crown, Martin, AMX, Studer, BSS, Lexicon, and dbx, which have defined leading edge technology in entertainment and related applications for decades. Beyond just owning top-tier brands, however, Harman has been investing in making these individual brands work together in delivering custom solutions for the needs of their existing as well as emerging customers. The move has allowed the company to go beyond leadership in sound systems to being a major player in holistic, high-tech solutions in entertainment and other enterprises. “We’ve become a one-stop solution shop that offers integrated audio, visual and lighting and control solutions to our customer,” Mr. Jayaraman says. Placing customers at the center of its business has given Harman new areas to focus on. “Take a restaurant as an example. You go there basically for food, but the way the lighting and sound work together helps build the customer experience. Our services comprise connecting how the light and sound work to enhance that experience.” Mr. Jayaraman pointed out other evolving uses of their equipment and solutions; churches now require broadcast and live video feeds of services, not just light and sound to fill the places of worship. In Singapore, Harman has provided prominent venues, such as the Singapore Sports Hub, Marina Bay Sands, and Suntec Convention Centre, with holistic sound and lighting systems. Technology has remained a major driver for innovation at Harman. 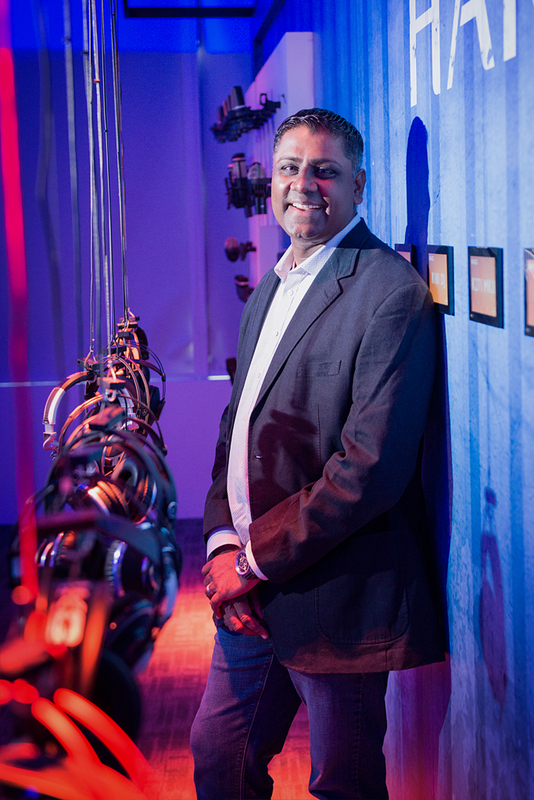 “As the integrated manufacturer and solution provider for the all the lighting and sound control – it’s about bringing all these elements together,” Mr. Jayaraman says. “We have a long history in the acoustic space and video control space,” Mr. Jayaraman emphasizes. “A brand like JBL or Crown has been in the market for over 70 years. The first Woodstock in 1969 used JBL equipment. 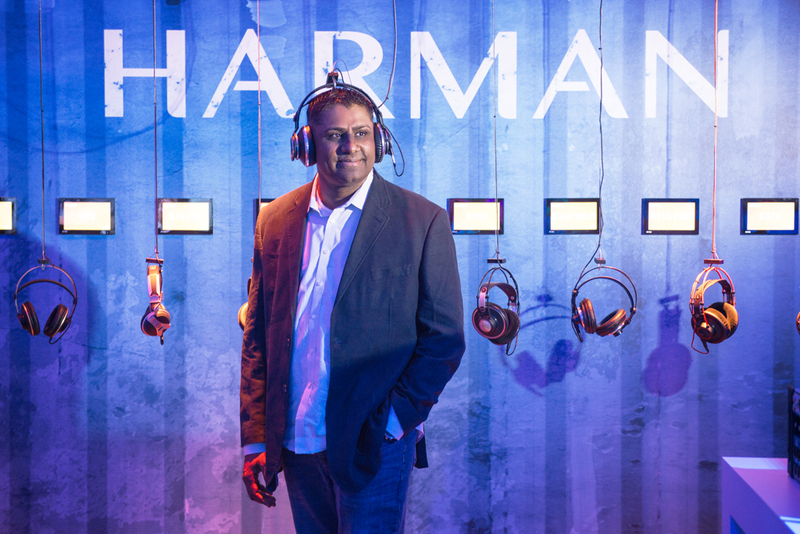 Grammy-winner Harman was also the recipient last year of nine product innovation awards from CES, the renowned global consumer trade electronics and consumer technology trade show. Among the new solutions that the company is launching is hinged on cloud technology. “It will allow people to pick up a microphone, walk around the venue, and connect their setting through a cloud, and make sure it works,” he elaborates. Even individual systems are being reengineered for emerging requirements, Mr. Jayaraman points out, and they often end up working together in interoperable systems. “Our concert audio and light systems are the top. Most rock bands have JBL as go-to brand because of its power to give the ‘throw’ – or how far it can make the sound can go from the stage to the far corners of the venue. Harman works with rental companies that are involved in the global concert tours of top acts. “The touring companies engage these rental companies, and we work with them to have our products on the rider. We work together on the design (of the systems) based on the concept and actual requirements of the concept. It’s a collaborative process, but we also provide the training for the technicians to get the best performance from our product. Every venue is different, Mr. Jayaraman says, and they have to come up with custom solutions for them. Mr. Jayaraman’s appointment late last year came with a number of changes in the company’s business in Asia. Harman’s two pre-existing business units in Singapore, as well as its Malaysian office were consolidated, signaling the company’s enlarging presence in the region, with Singapore as its base. In October, Harman opened its first Experience Centre in Asia—a 3,620-square-foot, state-of-the-art facility where the company’s professional products and services are set up for customers to experience. In March this year, Samsung’s acquisition of Harman was completed according to the definitive agreement that both companies entered into in 2016. Mr. Jayaraman points out that Harman’s expansion into new spaces, such as connected car technology and cloud services, is essential to the company’s sustainability. Its strong presence in Southeast Asia, meanwhile, is aimed at reaching into emerging markets such as Vietnam. Mr. Jayaraman is expected to leverage on the strength of Harman’s brands to drive growth throughout the region, and will lead teams across Harman offices in Singapore, Japan, Korea and Australia, as well as work together with channel partners in Asia Pacific. “Singapore will serve as the main hub for Harman in Asia and the remaining channels will be the spokes for our presence in Asia Pacific. At the experience centre customers can visualize how Harman products can function in tandem and serve in their spaces,” Mr Jayaraman says.